A traditional Red, White and Blue Beach Ball in the 24-Inch deflated size. 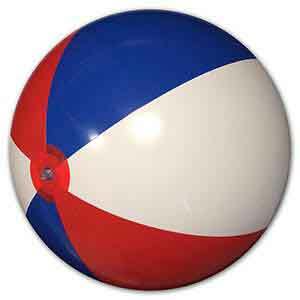 Includes regular safety valve for easier inflation. 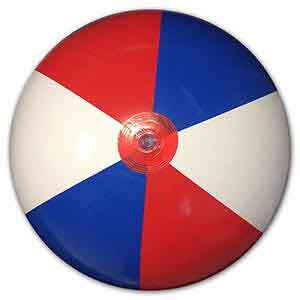 This Beach Balls stands about 18-inches high when fully inflated. To get notified when this is back in stock please fill out the form below. Please use only under competent supervision. 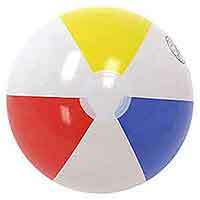 Beach Balls are not a life saving device. 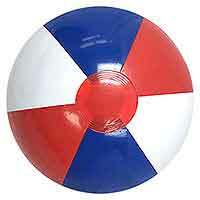 Not intended for children under 3 or otherwise directly labeled on certain Beach Balls. 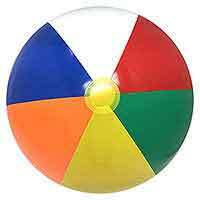 Not intended as a pet's toy or any pet that may contain sharp teeth and claws. 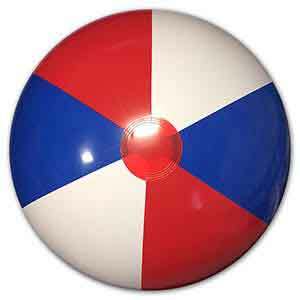 Many of our Beach Balls are individually wrapped in poly bags. Please use caution and discard bags properly to avoid any accidental uses by small children and incompetent adults. 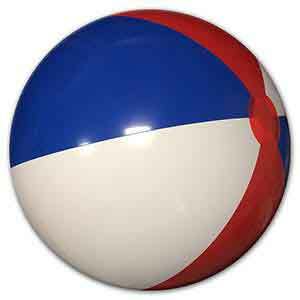 We try to provide close color matches on each Beach Ball. 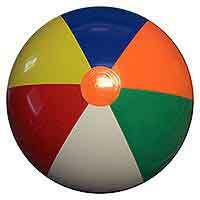 But we cannot guarantee that Beach Ball colors are an exact match. If colors are important, please call us at 302-628-8888.